The Minitor V Pager is no longer manufactured, however accessories and replacement parts may be available. Please contact your Motorola representative for additional information. 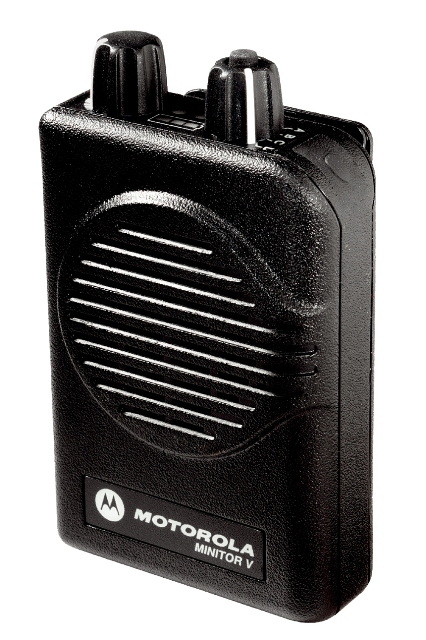 The Motorola MINITOR V two-tone voice pager is ideal for fire departments as well as businesses and other organizations that must react quickly in times of emergency. Its customizable options and dependable reception make it ideal in any rapid- response situation. Available on VHF and UHF models only. Records up to 8 minutes of voice message for playback. Scans both channels silently, alerts on either channel. Plays all traf?c on Channel 2, alerts on Channel 1. Supports 8 two-tone pairs and 4 individual long-tone alerts. Supports 10 different musical alerts. Sealed and sturdy for rugged conditions.